Friendly Design into Details As a flagship-level product with high compatibility, Crane-M's design team, while not overlooking users’ need of frequent change of cameras to tackle different tasks, has to the greatest extent simplify the camera mounting and adjusting operations by adding special scale marks and locating slots along the axes. 1-min. 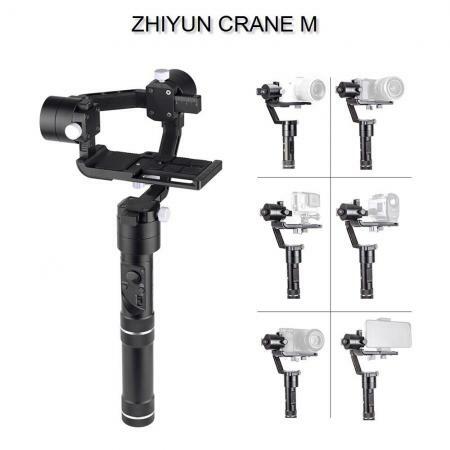 Balance Adjustment CRANE-M supports instant manual mounting & dismounting of camera without need of a screwdriver with fixing thumb screws on all 4 sides. In addition, camera balance adjustment is made much easier on CRANE-M with its unique scale marks + locating slots design on each axis. Single & Dual Hand Operation Tired of holding your stabilizer single armed? Here comes the dual-hand handle to alleviate the load for easier, more stable operations with better body balance. 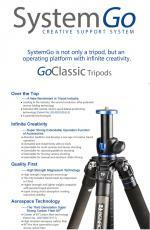 1/4” Threaded Hole for Multiple Add-ons The standard ¼” threaded hole at the bottom of Crane-M offers more flexibility at work allowing various add-ons of photographic equipment and apparatus, such as tripod, extension rod, suction cup, etc., to support in your creative works.